As one of the first points of contact for a patient entering a doctor’s office, a medical assistant may often have first-hand encounters with the fear that people experience when it’s time to have a medical procedure performed. For some patients, however, it’s more than just mere fear; it’s a bonafide phobia, and it’s helpful for medical assistants to realize that these conditions exist so that they have the ability to recognize, sympathize and perhaps even ease these fears to some degree. Here are some of the medically themed phobias they might run into. Radiophobia is the fear of x-rays. Typically, the sufferer is afraid of the effects of radiation exposure, which is made all the scarier due to the fact that it can’t be seen, smelled or felt. Those with radiophobia tend to panic at the prospect of being exposed to x-ray radiation, so as a medical assistant, keep in mind that it may take great effort for them to submit to an x-ray. Making them aware of the minimal risk involved may help calm their fears. Tomophobia is the fear of surgery, no matter how minor. Sufferers fear that the operation is actually more dangerous than the ailment requiring the surgery, so they may refuse a surgical procedure that they desperately need. If a medical assistant can help them understand why the surgery is needed, it may soothe their nerves enough to allow them to go under the knife. 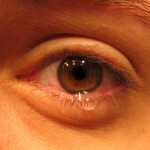 Trypanophobia, also known as aichmophobia, is the fear of injections/needles. It’s closely related to, and can occur in conjunction with, the fear of blood (hemaphobia). Sufferers’ anxiety may cause high blood pressure and elevated heart rates in the time leading up to an injection, although during the procedure itself, their blood pressure and heart rates often drop, perhaps causing them to faint. Thus, medical assistants should be on the look out for dizziness, glazed eyes or swaying. Consider consulting with the doctor to see if there are ways to avoid needles for certain purposes — such as vaccinations (some of which can use nasal sprays) and testing blood sugar levels. Pharmacophobia is the fear of medicine, usually pills or injections. It may be tied to other medical phobias, such as fear of needles, fear of visiting the doctor, fear of becoming addicted to medicines, fear of new medicines (“neopharmaphobia”) and fear of medicines containing mercury specifically (“hydrargyophobia”). Needless to say, not taking prescribed medication can prove harmful to a patient’s health, so medical assistants who sense possible pharmacophobia may want to emphasize the benefits of the specific drugs and the consequences of not taking it. Iatrophobia is the fear of doctors. It is obsessive and much more extreme than the average nerves that arrive before a visit to the doctor’s office. Some sufferers may experience elevated blood pressure levels merely by seeing someone in a white doctor’s coat (“white coat hypertension”). Frequent postponements of appointments are a sign of iatrophobia that medical assistants in particular can observe first-hand. To make sufferers feel more comfortable, medical personnel might avoid wearing uniforms or even attempt some level of treatment via the phone or Internet — at least enough to get the patient comfy enough to visit the office in person. You’re probably familiar with claustrophobia (the fear of being enclosed in tight spaces), but you might not realize that it can apply to medical situations. For patients who need an MRI scan, however, the fear of being inside the tight confines of an MRI scanner can be crippling. In fact, some studies have found that as many as one in six patients subjected to an MRI scan can’t go through with the process because of claustrophobic reasons. Luckily, an increasing number of scanners are being made with open designs, to accommodate not only MRI claustrophobia sufferers, but also large and overweight patients.